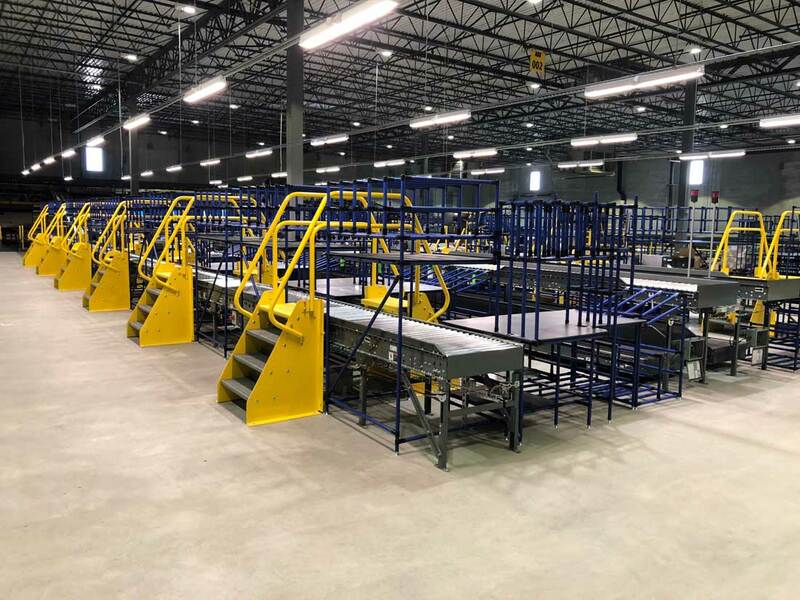 NFI was contracted by Trilogiq, a provider of custom “smart” packaging workstations for Walmart e-commerce operations. Challenged with the notion that “Walmart never sleeps,” installation for three new 1.2 million square ft facilities would be spread across the country and managed at the same time in Georgia, California and Indiana. Those locations were the newest featuring e-commerce state-of-the-art automation and warehousing systems. When fully operational, each facility will create nearly 400 full-time jobs. 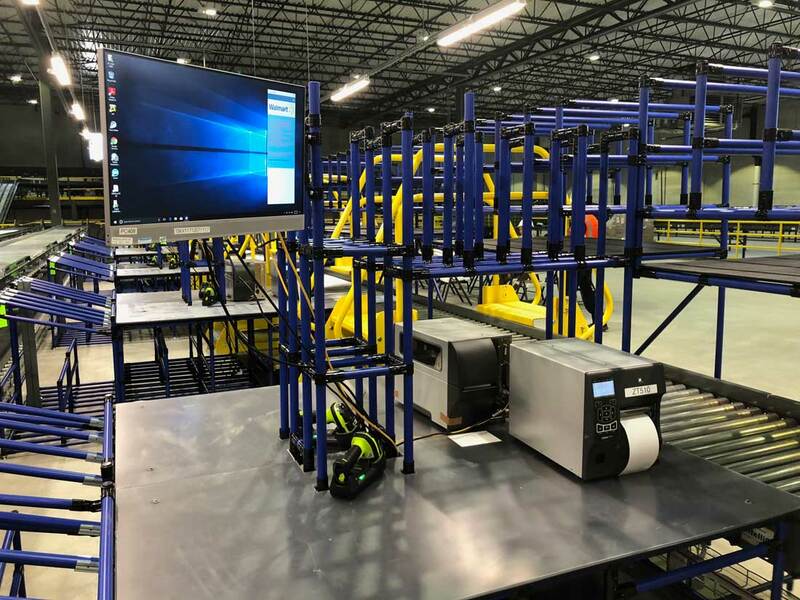 The new large-scale centers will join existing, smaller e-commerce fulfillment centers, store distribution centers, 4,500 Walmart stores, and the company’s world-class transportation fleet to ship online orders fast and efficiently to customers around the country. With each location receiving approximately 205 work stations, the work was scheduled into twelve phased installations that coincided with Trilogiq shipping schedules and were managed by teams of three NFI employees at each facility. NFI wanted Trilogiq to have complete confidence in their selection, so going the extra mile was not an issue for the team. The leads traveled on site for the first phase and then began to deploy that activity at the other locations. This also ensured consistent reporting and final product. 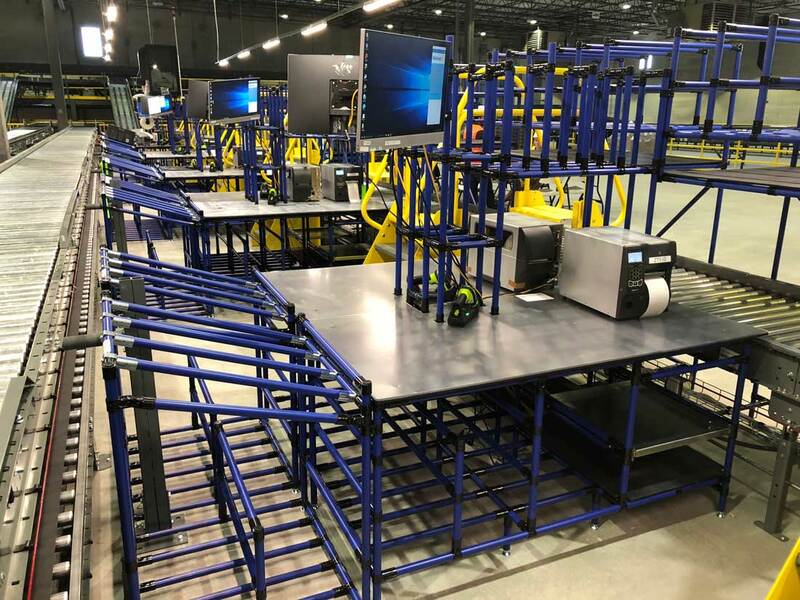 That activity looked something like this: the workstation components were moved from a storage location, set in alignment with the package conveyors, unwrapped and connections made at 18+ points. Over the course of a little more than a month, a bit of scope adjustment with the addition of more units, NFI exceeded plan execution and customer expectations.